Imagine a quaint canoe snaking through a serene river with rocks of varying colours unravelling before you. Pure bliss ! All that and much more I was witness to in my latest trip to Jabalpur - the marble city. Located in central India in the state of Madhya Pradesh, Jabalpur is the 3rd largest city in this state by population. It is interesting to note that at 367 km2, it is bigger compared to the capital city Bhopal (286 km2). After a weary train ride which was inordinately delayed, I reached my hotel, exhausted. The main attraction in this city is the marble rocks. Located at Bhedaghat 25 km south west of the city, the Narmada river here takes a sharp bend and descends through the Dhuandhar waterfalls (dhuan - mist, dhar - flow), a drop of 10m. Then it flows through a 3 km rocky gorge and through towering cliffs, known as the Marble Rocks. There is a cable car service (two way ride for Rs 85) that provides a bird's eye view of the waterfall. The Narmada river is one of the rare west flowing rivers in India. Originating from Amarkantak at a height of 1048m, it carves out jagged marble rocks and cliffs of varying proportions at Bhedaghat. Different shades of brown, white and green coloured rocks rising up perpendicularly from the river upto a height of 100 feet is a spectacular sight. These rocks are rich in magnesium and are closer in hardness to soapstone. At a certain point, the river is so narrow that monkeys could easily jump across, hence giving it the name bandar kudni (bandar - monkey, kudni - jump). The boat ride downstream of the river through the Marble Rocks is an experience not to be missed. Two rowers and a steerer operate the boat. The rowers also double up as a guide, entertaining the tourists by describing the various Bollywood movie scenes that have been shot here. There is also a boat service at night. This service however, does not operate during the monsoon season. With a little bit of imagination, a few rock patterns resemble the three monkeys of Gandhiji, or the triple headed gods Brahma, Vishnu and Shiva. Marble rocks- The sheer intricacy of these cliffs and rock formations is breathtaking. For as little as Rs 100 you get an hours ride through this natural wonder. There are also souvenir shops selling beads, necklaces, idols of gods and goddesses, paper weights and other artifacts. Definitely worth a buy! And memories to last a lifetime ! My second day in the city started off with a visit to the Narmada River ghat. Life over here is slow paced, with bikes on motorboats crossing the placid river and a few exquisitely decorated boats. The highlight of the day was the visit to the Balancing Rock. A geological wonder, it is a large boulder which rests precariously on another flatter rock with a tiny base. This rock remained undisturbed when an earthquake of magnitude 5.8 struck the city. There are a few such balancing rocks located in the United States, Canada, and Africa. The last place on my itinerary was the Madan Mahal Fort. Located a stone's throw away from the balancing rock, it is also known as Rani Durgavati Fort. Built by the Gond rulers in the 11th century, it is mostly in ruins. Nevertheless, in its heyday it was used as a military outpost. Its strategic location atop a hill provides a commanding view of the city and its surroundings. A reservoir and stables adjoin the main fort structure. Both private and government bus operators ply along these routes. Jabalpur junction is the main railway station in the city. Trains are available to all major cities like Delhi (17 hours), Mumbai (18 hours), Kolkata (20 hours), Bhopal (6 hours) and Nagpur (9 hours). Air connectivity is quite limited, with direct flights to only Delhi and Mumbai. There are no direct flights connecting Jabalpur with other nearby cities like Bhopal, Nagpur and Indore. The best option is to hire taxis which are available from Jabalpur Junction station. For visiting just Bhedaghat, bus number 6 can be taken from the railway station. Oct to Feb - when the sun is at its pleasant best (250C). Nights can be a little chilly (100C), so its advisable to pack light woolens. Hindi is understood and spoken widely here. Unlike tier-I cities, English even though understood a bit, is not spoken much by the local populace. In most places, signboards are written in Hindi only. I would recommend Hotel BK Castles. Situated in the heart of the city, with neat and spacious rooms, good room service and complimentary breakfast. Do not miss out to taste Khoya Jalebi, one of the most lip-smacking desserts and a local delicacy. Catch a tiger in the wild in either the Bandhavgarh, Kanha or Pench National Park, all located 4-5 hours drive from the city. Or you could marvel at the amazing sculptures of the temple of Khajuraho, 250 km away. Adventurous, invigorating with a lot of fun-filled memories! This sums up my latest trekking trip. Location being Naneghat, tucked away in the Western Ghats. Naneghat is a mountain pass near Junnar in Pune district. During the reign of the Satavahana kings, the pass was extensively used as a trade route between Kalyan and Junnar. Literally, the name nane means "coin" and ghat means "pass". The name is given because this path was used as a tollbooth to collect toll from traders crossing the hills. Typically a trek involves scaling a peak and having a 3600 vantage point, where you are at the peak. However, this was quite a different experience. On one side, lies the vast empty Deccan Plateau and the other, a steep drop into the coastal plains. And Naneghat is right perched at the top, where the two landforms merge. Our journey started from Kalyan. While waiting for our bus, we were witness to some comical scenes of people scrambling into other overcrowded buses, jumping through windows etc!. We set off to Murbad, a 1.5 hour ride. After the introduction and courtesy exchange of pleasantries, the trek started. However, there was a problem. It was getting dark and we were already running late. This meant that a trek scheduled for late afternoon was going to take place through dusk and night. To make matters worse, we lost our way thrice through the dense forest. However, thanks to our experienced trek organizer, we were able to retrace our steps and finally were on the right track. So what was planned as a 3.5 hour late afternoon trek, ended up being a 7 hour sojourn through the night! Post a light dinner at 2 30 am, we pitched tent and crashed in the early hours of the morning. We wake up to a slightly chilly dawn. This was our abode for the night. All around us we could see the land falling away. Craggy mountain tops giving way to precipitous, sheer drops. After spending sometime exploring the area, it was time to pack up and start the descent. On our way back, we came across these caves. They have Brahmi inscriptions in them dating to 60 -70 BC, believed to be wok of the consorts of the Satavahana ruler Satakarni. 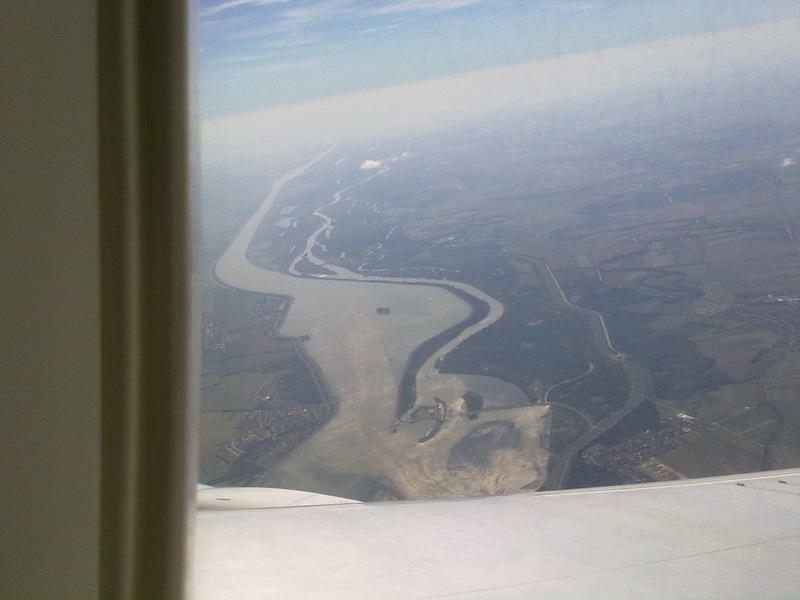 Our descent was pretty quick. We reached the base point in the afternoon, got a jeep back to Murbad and from there back to Kalyan. And that concludes a wonderful trip.! Thanks to P.E.A.K troops! The Benefits of Travelling Solo. I am a diehard traveller at heart. It is one of my favourite passionate hobbies. I have travelled extensively across India and Europe. Over the past few years, I have been travelling solo. It has its own unique advantages. You are the master of your time, and you can make your own plans to visit at your own pace. Europe is one of the best places to travel solo on a budget. It has a mix of historical cities, dazzling architecture, a kaleidoscope of cultures, mountains, offering something for everyone. Finding an accomodation is not that difficult if you are willing to experiment a bit. Every major city in Europe has plenty of youth hostels. However, the quality of accomodation and service varies across countries. Contrary to popular perception, cheaper places could sometimes have comfy rooms compared to more expensive places. I had been on a trip to Vienna 3 years ago. The youth hostel resembled a posh hotel. I had stayed there just for a single night and was quite satisfied with the quality-to-price ratio. 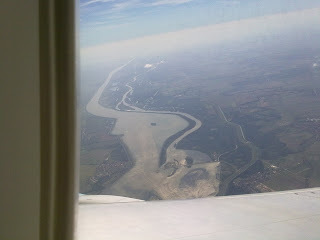 However, the experience during my last trip in Prague was a complete contrast. I was shunted from one youth hostel to another late at night. It had stuffed people like sardines and was dirty. To make matters worse, they had overcharged me. While backpacking, I try the most not to look like a tourist. The first step in doing this is not to follow tour operators on 3 nights/4 days packages. Their schedule is very hectic and if you miss the travel group, you feel completely lost. They do not give the opportunity to taste the local cuisine or visit places that are off the beaten path. I feel stifled that I cannot make my own travel plans. So I get acquainted with the public transport, which is very easy in Europe. Especially Germany has an enviable rail transport system of S-Bahn and U-Bahn and intercity transport which makes travelling hassle-free. I never leave for a trip without printing a Wikitravel and a language phrasebook. This was very useful while I was backpacking across Russia, where I expected no one to speak English. In other European countries where English is spoken and understood, a few words of the local tongue go a long way in interacting with the local populace. Wikitravel also contains interesting information about “must-have” dishes, and travel advisories in its section “Stay Safe”. I follow these quite meticulously. to name a few. This strategy has really worked well for me, and I have travelled solo across France, Switzerland, Austria, Norway, the Baltics, Germany, and Russia, to name a few. 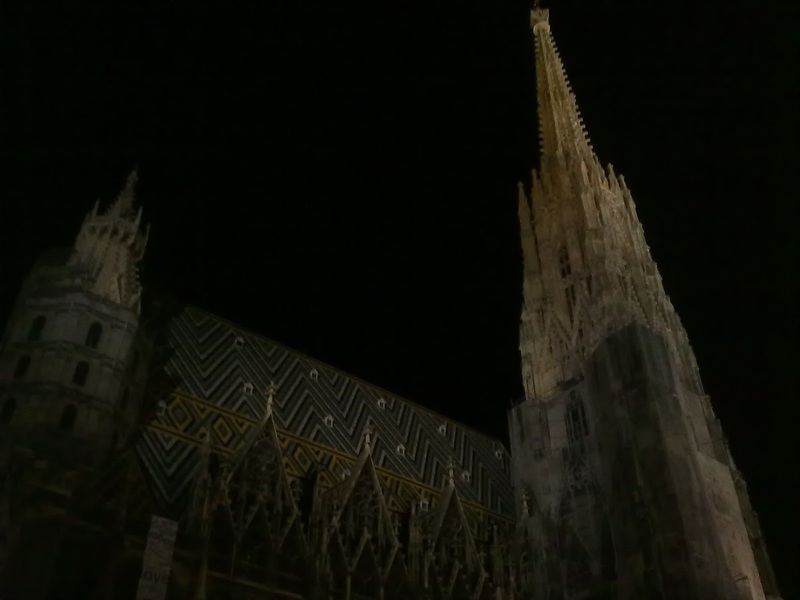 I would like to conclude this blog article by putting up a select photo collection of my latest trip to Central Europe, i.e Germany and Prague. Prague is a must-see for a diehard travel bug ! My future travel plans include visiting the Balkans, Caucasus, and Central Asia. Hoping for greater travels ahead ! There are some cities which leave an impression if you visit them just once. 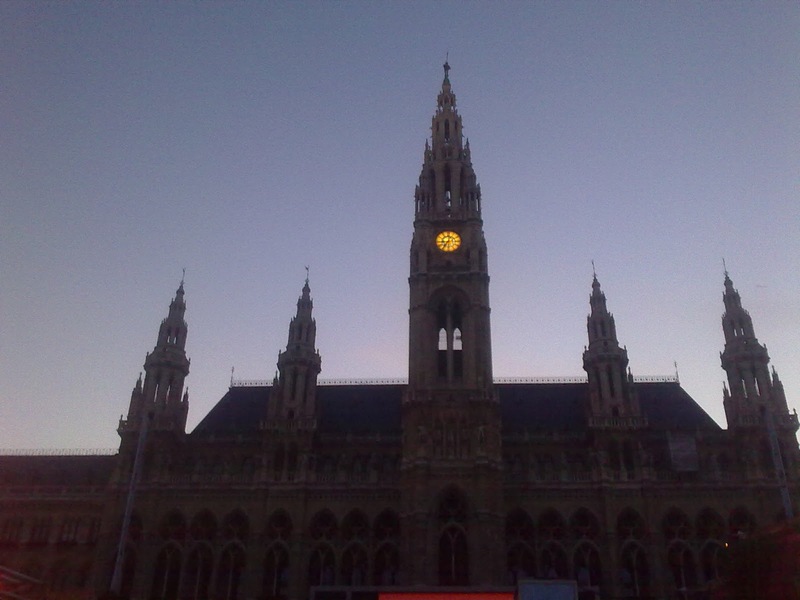 One such city is Vienna. Located in the heart of Europe in the eastern corner of Austria, near the borders of Slovakia and Czech Republic, it is a delightful place to visit, especially for a music or history connoisseur. I have visited the city twice, once a planned visit with my parents and another alone. There s enough architecture and history in this city to stay here for at least 3-4 days. Most of the main city sights are around the Inner Stadt, a wide tree-lined road. The parliament building stands out as one of the grandest buildings on this avenue, commanding absolute respect. A flight of curved staircases leads to the main entrance of the building, while beautiful sculptures adorn beneath it. The St Stephens Cathedral is another important landmark in the centre of the inner city. The spire of the cathedral is so tall that you have to crane your neck to see it. Being at the centre of power for the Hogsburg royal empire for decades, a visit to the city would nt be complete without the Schronnbrun Palace. The palace is not very grand architecturally, but there s enough history inside to keep you engaged, especially if you eavesdrop on the guided tours :). I feel visiting a city, has more to do with the culture rather than going on hop-on hop-offs and peering at the buildings from the cosy comforts of a travel bus. 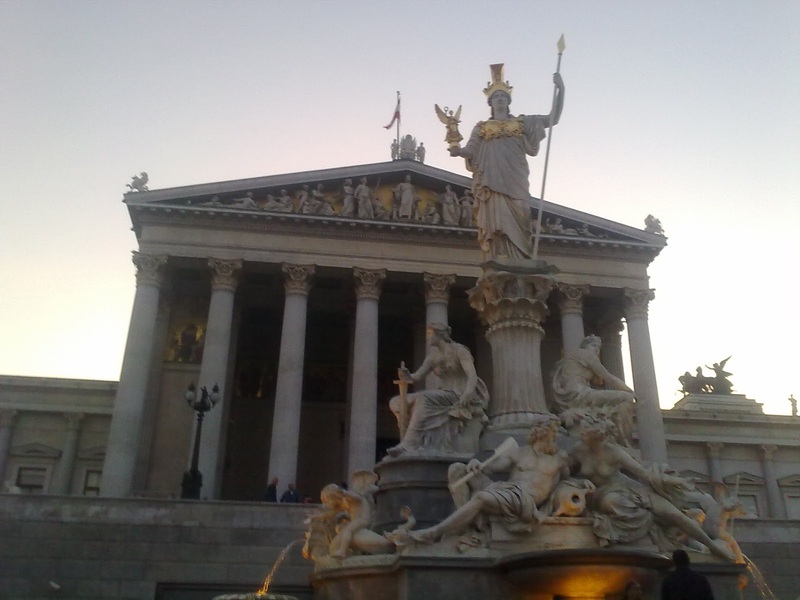 Attending a concert at the Vienna Opera should also figure in your travel itinerary. Western classical music may not be everyone s cup of tea, but the experience is what really matters. Getting around the city is not a problem, thanks to Vienna s amazing public transport system, with trams, metro lines, and buses. There are two direct train connections to the airport too. Accommodation could be a problem in the summer months, but if you are willing to stay at youth hostels, you could get a good deal. I had stayed at Red Carpet Hostels. Located conveniently near the West Bahnof railway station and not far from InnerStadt, the rooms were pretty neat and quite affordable. Aaah! Finally I was able to get some time off to post another blog. Its been a REALLY LONG time since I had blogged last. This is a short description of my rail journey in the Mastsyagandha Exrpess which I had taken last Sunday to reach my college NIT Surathkal from Mumbai. Had booked in an emergency and had to wait for the last day to get my waitlisted ticket confirmed. The train left dot on time at 2:10. About half an hour later Thane was reached for a short halt. Here I saw the Mumbai Chennai Express zipping past us. After Thane came the first tunnel on my journey - the Parsik Tunnel which separates Mumbai from Maharashtra. After the tunnel was crossed , we took a diversion from the mainline and entered the Diva Panvel mainline and reached Panvel. I thought the scenery would get wild with the beauty of the Konkan railway after Panvel but no the fun doesnt begin there. One has to wait for another couple of hours at least. After Mangoan and Veer is where the scenery changes and the Western Ghats can be seen clearly. The first tunnel on Konkan was at Nagothane. For about an hour, I stood at the train door, feeling the gust of wind as the train sped at 90+ wathcing the scenery. Dusk fell soon after and we stopped at Chiplun. From then on, I came back to my seat and started with my novel. Had dinner at Ratnagiri, which is the halfway point in the journey. I was tempted to stand at the door again after dinner and so stood for sometime. Though I couldnt see much thanks to the darkness, the journey from Ratnagiri was too good. I could make out that for most of the time, we were either inside a tunnel or on a bridge. My stay at the door, was however terminated by the AC coach attendant. I thus went back to my novel and spoke to some of my friends. I have a wish to go to Goa so I thought at least I should get down at the station. So I did just that post midnight. After that I was too sleepy to stay awake and crashed, waking up only minutes before the train reached Surathkal. 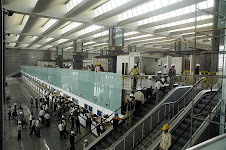 I had a chance to see Bangalore's new airport when i flew from it on 29th a week after its inauguration. Here is a small analysis of the airport building..
Coming to think of it i was pretty amazed by the look and feel of the new airport. Terminal is well built .Arrivals and departures neatly segregated. You enter through a huge set of glass doors and straightaway enter into the check in center. Here there are about 50 counters and so the human traffic congestion is not much. After check in you climb the escalator and enter into the first floor. On the first floor is the security check area..pretty neat and decent . It is after this area i feel that the problems start. Beyond the security check center is the departure holding area.This area has been horribly used i feel. More than half of the floor area in this part has been wasted with shops selling books, clothes, and all other kinds of stuff at soaring unreasonable prices. And because of this the seating area has suffered. There are just not enough chairs for people to sit. I could see some people standing and some others sitting on the floor. I feel they can do away with some of these glamorous shops and provide more seating area. As a regular traveller for me having a good place to sit is more important than shopping at the airport. I hope the authorities look into this matter at the earliest.I also feel that catering facilities in the departure section are just not enough. After that was pretty good. My flight's departure was announced on time. I climbed down the stairs and boarded the bus ( unluckily no aerobridge ) and boarded my flight which also took off on time. When i came back to Bangalore from Mumbai two days later again i passed through this place. This time there were absolutely no problems. The flight landed on time. I went through the baggage cabin section on the ground floor which is a real relief from the old airport. Lots of conveyor belts to ensure that the baggage retrieval is smooth..it was pretty smooth i was able to retrieve my baggage in abt 15 mins. Came out to the arrivals section. Again i was a very disappointed to see that there is no seating facility for the people who have come to receive passengers outside the terminal building. I think they should definitely think of building a small waiting room to receive passengers. Outside the airport facilities are also very good. you get taxis to wherever you want in Bangalore. But i took the Vayu Vajra Volvo Bus Service. Its very cheap and very comfortable. Better way to travel to the city if you know your destination that is.. Regarding capacity, I really doubt the confidence that the airport authorities are trying to instill. I really have my doubts whether the exiting puny terminal building will be able to handle the increasing air traffic after say another 3 years as it is not very big. I think the current terminal will start to choke with passengers in another 3 years. BIAL should seriously look into this issue,. As far the distance is concerned, i think too much hue and cry has been raised about this issue. I dont think its that far away people are talking as if the airport is on the other end of the earth. Even when the HAL airport was there it was a pain to travel from a place like Rajajinagar or vijaynagar to the old airport. It used to take 1.5 to 2 hours even then. Now you can reach Hebbal a locality in north Bangalore 28 km from the airport in little under 30 mins. The expressway is very good. Thus the problem is not about how to get to the airport, its about how to manage traffic in the city properly. How to reach Hebbal in the shortest possible time..If only traffic within the city were managed well, connectivity would not have been an issue.....Wishful Thinking !! Another serious point of concern is how the surroundings of the airport would look like ten years from now. Yelehanka the northern extremity of Bangalore is a 15 min drive from here. Thus the general trend of urbanization would start approaching the airport. The Government should realize this immediately and must put a ban on real estate development at least for 10 km radius around devanahalli. Otherwise by 2015 BIAl will be another HAL disaster with slums, shopping centres and apartments mushrooming all around it thus clogging the infrastructure. Look at the airports in foreign countries they are ALL OUTSIDE the city in semi urban or mostly rural areas. As far as i am considered, this swanky new airport is a real relief from the fish market like atmosphere of HAL airport and i feel it is one of the better airports in India ( though i havent seen the new Hyderabad airport yet). All in all you can say after waiting for such a long time,it is a disappointment BIAL could have delivered much better. The Scandinavian countries are some of the most beautiful countries to visit in Europe . I had a chance to go there last summer.Of all the 4 Nordic Countries, the most beautiful among them is Norway. Previously known as the land of the Vikings, Norway has everything to offer,, tall mountains ,narrow deep fjords(deep creeks) and picturesque towns. 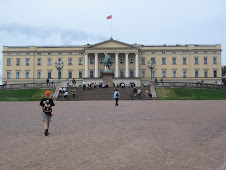 My experience began with the capital City,Oslo. Stayed there for about two nights. 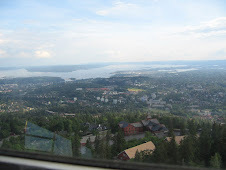 Its a bustling metropolis located at the head of the Oslo fjord. A well planned and neat city..not too crowded. There are many fun things to do, while you are here. The Royal Palace with its change of guards draws a lot of crowd. Another important not to be missed is the Nobel Peace Museum. 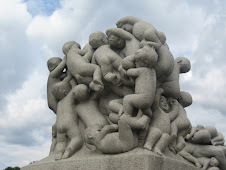 Strangely only Oslo is associated with the Peace Prize, while all the other Nobel prizes are distributed at Stockholm.The Vigeland Sculpture park and the museum is also an amazing place to see. But the high point in Oslo is definitely the Hollmenkollen Ski Jump Tower. 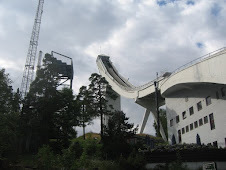 This Ski Jump tower is situated on a tall hill overlooking the city at the northwestern end. A nice hill train takes you all the way up there. The views you get from the top of this tower....are just brilliant. At the base of the tower, there is a ski museum which is definitely worth a visit. These are just some of the important tourist spots that you should not miss while you are staying here.Any nature lover would definitely like this city as it is has a rugged and beautiful landscape. Oslo has an international airport at Gardermoen ,48 km north east of the city center. Regular flights connect the airport to other major destinations like London Heathrow,Paris etc. Getting to the airport from the city center is also not a difficulty as there is a high speed rail linking the city railway station to the airport covering the distance non stop in about 20-25 minutes. The main railway station in Oslo is Oslo SentralStasjon is at the city center. Convenient night trains are available to Stockholm and Copenhagen. The public transport in Oslo is efficient and varied, with buses,trams,and local trains connecting to most parts of the city.Most of the tourist places are located within walking distance from the main railway station.Only two spots Vigeland and Hollmenkollen are a little further away, but can be easily reached by public transport. As is always the case with exotic locations, Oslo is a little more expensive compared to other Scandinavian countries. Most hotels,restaurants and supermarkets are located in the city center between Oslo SentralStasjon and Royal Palace in a 3-4 km radius. I stayed at the Thon Hotel Munch. 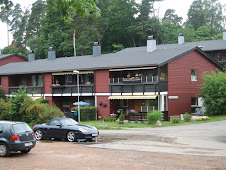 It is a decent place, good rooms, good breakfast and a little more budget. I would recommend it to anyone looking for budget hotels here.